Egypt. 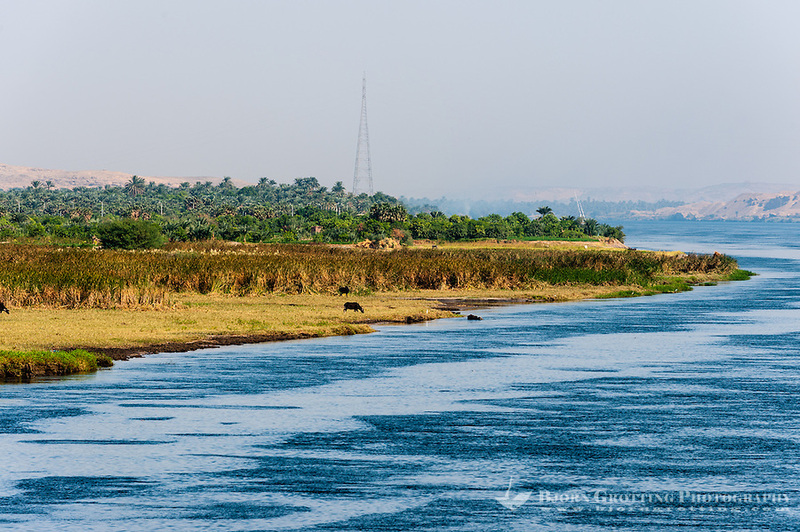 Cruising the Nile from Kom Ombo to Luxor, passing Edfu and Esna. Cattle on the riverbank close to Gebel el-Silsila.